Yu-Gi-Oh! 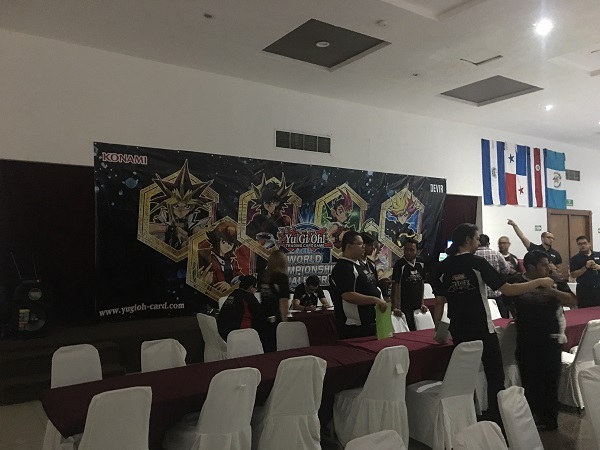 TCG Event Coverage » Welcome to the Central America World Championship Qualifier! Home > 2018 Central America WCQ	> Welcome to the Central America World Championship Qualifier! 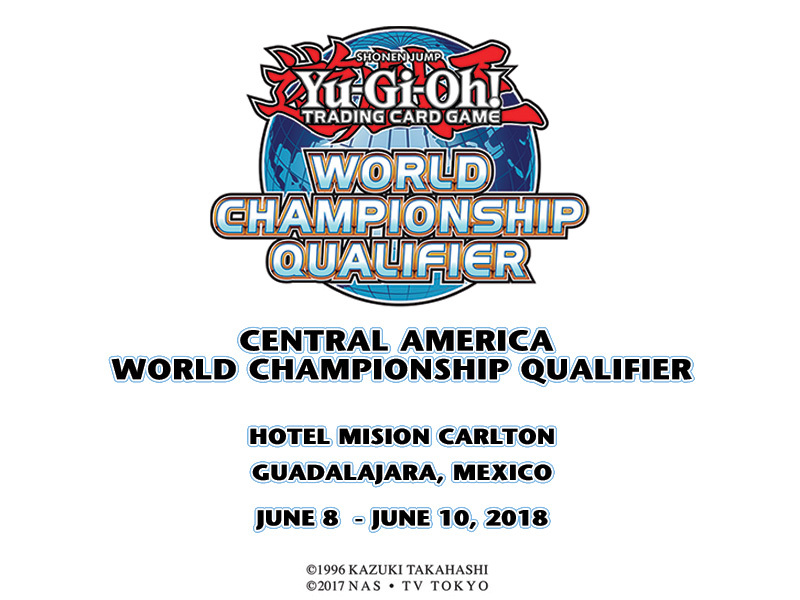 Welcome to the 2018 Central America World Championship Qualifier here in Guadalajara, México! 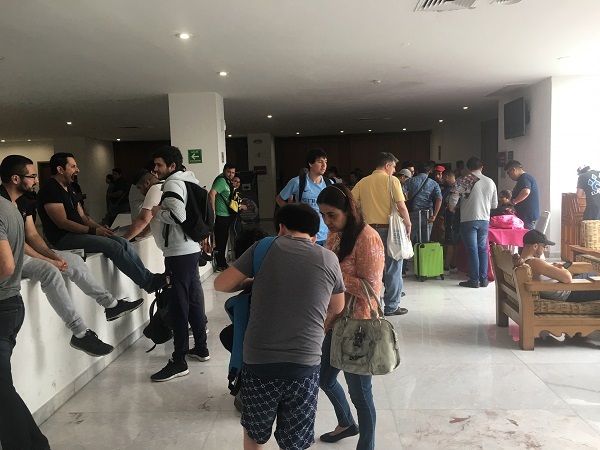 Duelists and young Dragon Duelists from around Central America have gathered at the Hotel Misión Guadalajara Carlton here in Guadalajara, México to prove their Dueling skills and earn an invitation to the most prestigious tournament of the year – the World Championship. The winner of both the Central America World Championship Qualifier and the Central America Dragon Duel World Championship Qualifier will be invited to compete in the 2018 World Championship in Tokyo, Japan this summer, and will receive paid travel and accommodations to do so. Phenomenal prizes including game mats, sleeves, trophies, booster packs, complete booster sets, YCS Prize Cards, and electronic game consoles will also be provided to top-ranking Duelists; but all eyes are on that top prize and the honor of competing on a global stage. Competition will be fierce this weekend. The new Advanced Format is still young, and although the recently-released Dark Saviors booster set has already proven its power at YCS Secaucus, Duelists are still scrambling to find the best combination of cards to use in their Decks. Based on the results of last weekend’s YCS Secaucus, many Duelists expect that Sky Strikers and Trickstars will be a dominating force this weekend; however, that expectation allows players competing this weekend to prepare their Decks for facing off against that most likely threat. In addition to all of the prizes awarded this weekend, Duelists will also have a final opportunity to earn World Qualifying Points based on their performance in the Central America WCQ. The Duelist from Mexico with the most World Qualifying Points and the Duelist from the rest of Latin America and the Caribbean with the most World Qualifying Points will be invited to compete in the World Championship with paid accommodations. This creates another path to the Yu-Gi-Oh! TRADING CARD GAME World Championship, even for a competing Duelist that doesn’t necessarily win this weekend’s tournament. The room is set up, and Duelists are about to take their seats. It’s almost time to Duel here at the Central America World Championship Qualifier! Categories: 2018 Central America WCQ	Tags: CA WCQ, WCQ, Welcome! Central America World Championship Qualifier Participation Prizes! YCS Secaucus: Event Table of Contents!